Baptism is a beautiful illustration of the spiritual death and resurrection of the believer who has died to their sin and been resurrected to new life through their faith in Jesus Christ. It is also an opportunity for the believer to make a public profession of his or her faith in Christ, through which both personal and community benefits are received. Our view from scripture is that baptism should occur when a person makes a credible profession of faith in Christ as their Savior. Jesus commanded it (Matthew 28:19-20) and was Himself baptized (Mark 1:9). So while baptism is not a work necessary for salvation, it is an act of obedience for those who are saved from their sin. 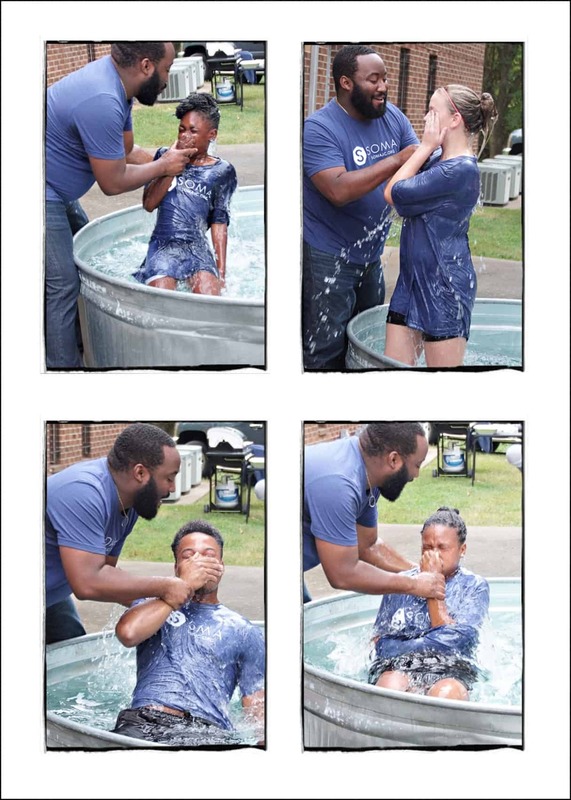 Baptism is the opportunity to glorify the Son of God by publicly proclaiming that through Jesus’ death the unrighteous and guilty can be washed and cleansed from the shame and guilt of their sin, and that he raises those who are dead in sin to newness of life through his Holy Spirit. Please contact fill out the information below or email Pastor Jon (jnelson@somajc.org) with any other questions about baptism at Soma.